Woo-hoo! 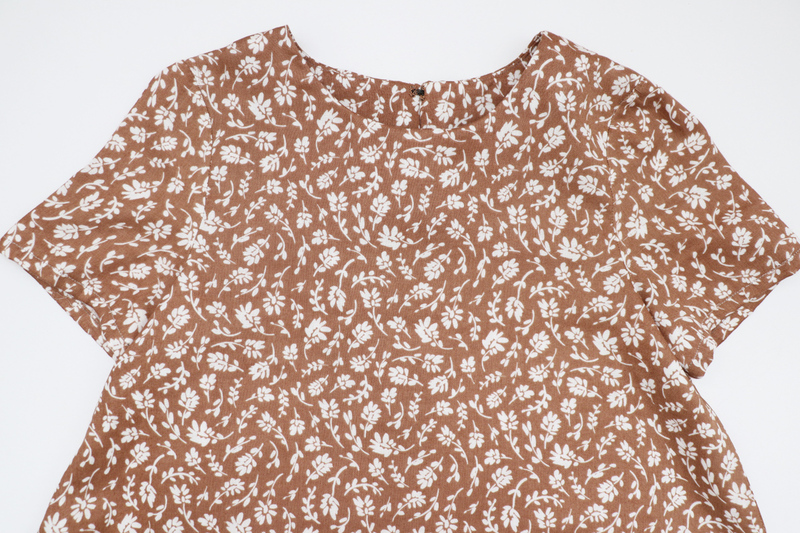 It’s time for sleeves on our Floreat blouses and dresses! (If you’re making a sleeveless version, you can skip this post. Tomorrow’s post is all about you, promise!). 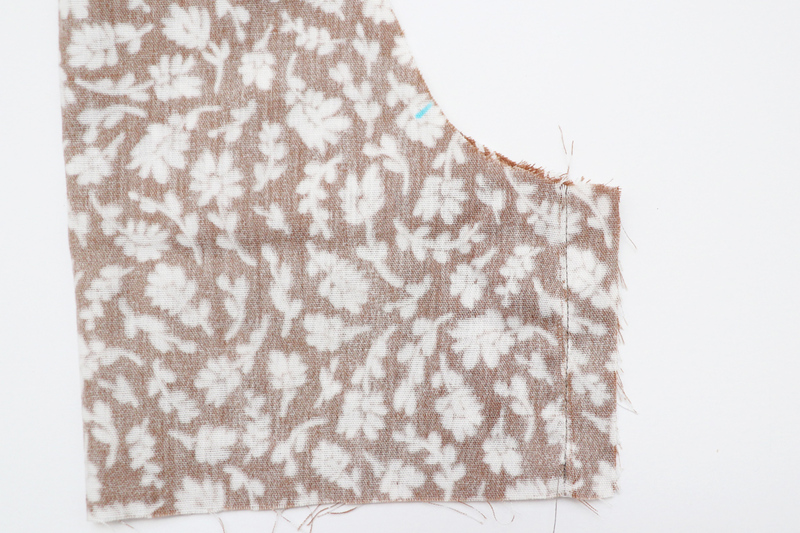 This pattern uses a set-in sleeve method for the woven versions. If you’ve never done one – don’t fret. Its pretty simple. Once you get the hang of easing the sleeve cap, it’s a cinch! (We’ll use a different method for knit versions. We’ll go over that soon, too). I’ll be showing you the steps below on a short sleeved version. But it’s the same process for long sleeves, too! 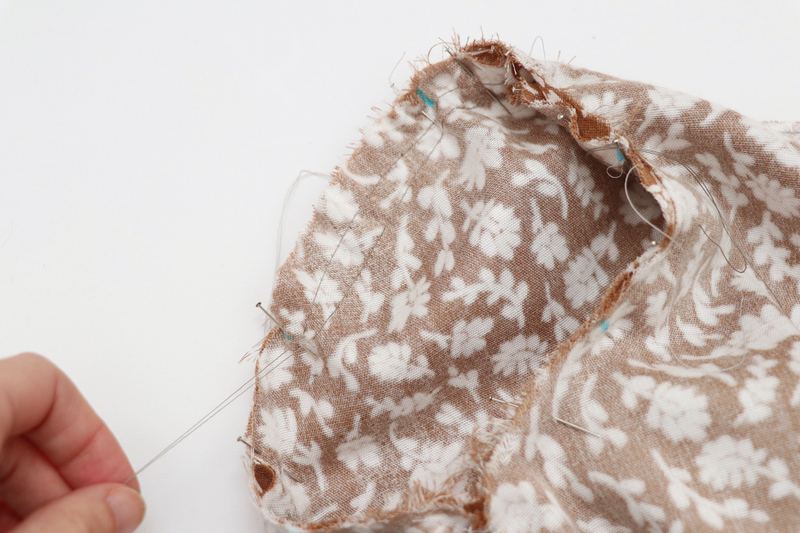 To start, set your machine to the longest stitch length and sew a row of basting stitches between the two notches, 5/8″ from the raw edge. Leave long loose threads at the ends, don’t trim them. 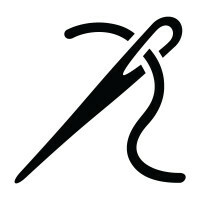 It’s not always necessary, but you can also sew a second line of basting stitches 1/4″ from the first line (towards the raw edge). This will give you more control when you ease in your sleeve cap. Now fold each sleeve in half with right sides together. 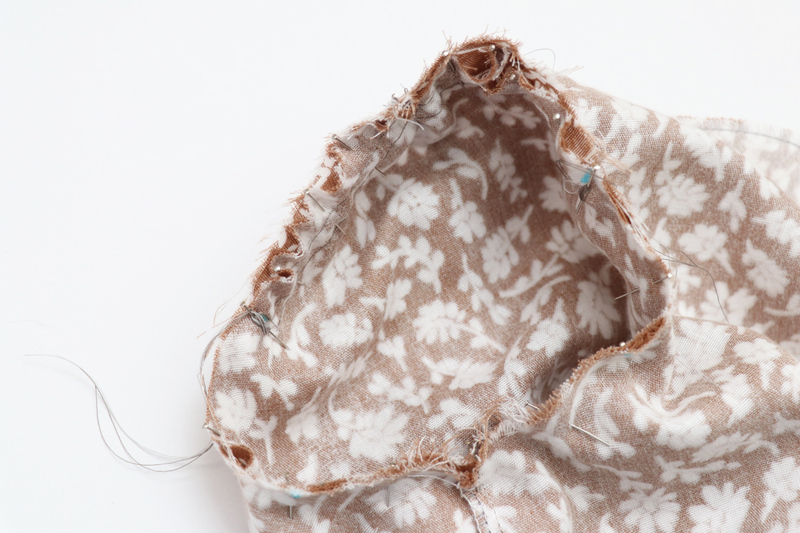 Line up the straight edges, and sew together 5/8″ from the raw edges. Finish the raw edge with your preferred method, and press either open or to the side. 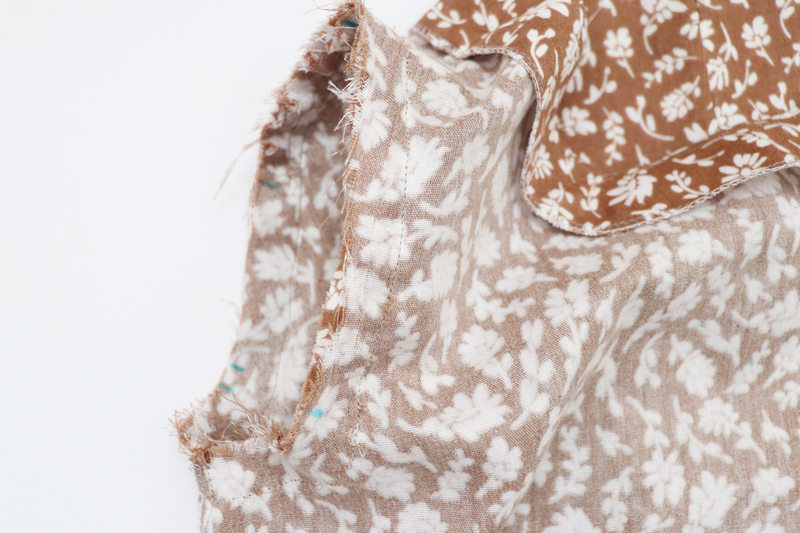 … and your garment inside out. 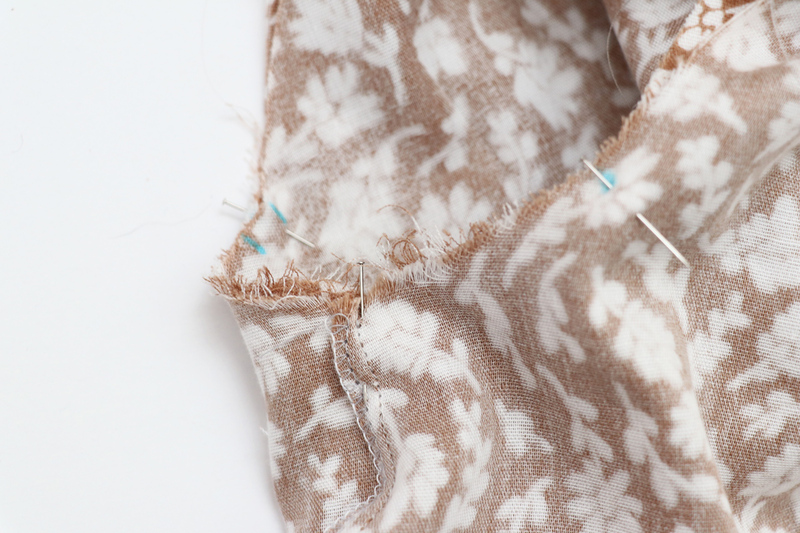 Place the sleeve inside the armhole, hem first. So that the right sides are facing each other. 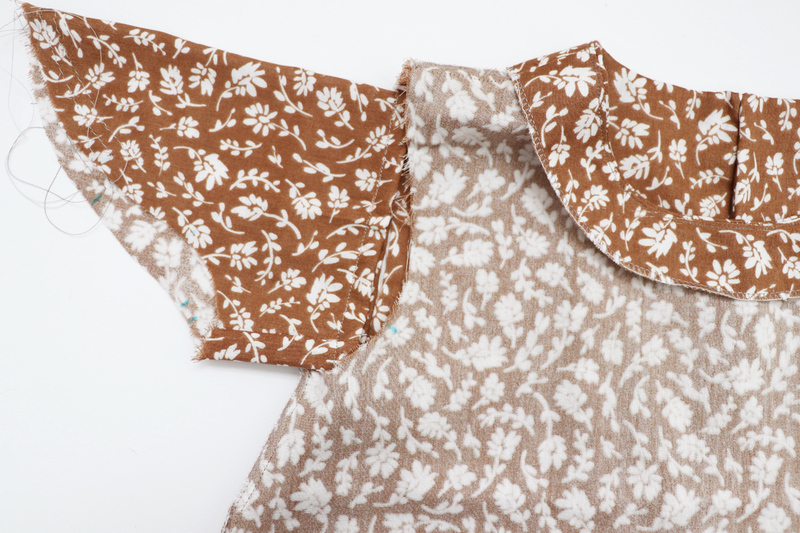 The sleeve seam should be along the bottom, lining up with the side seam, and the top of the sleeve cap should line up with the shoulder seam. 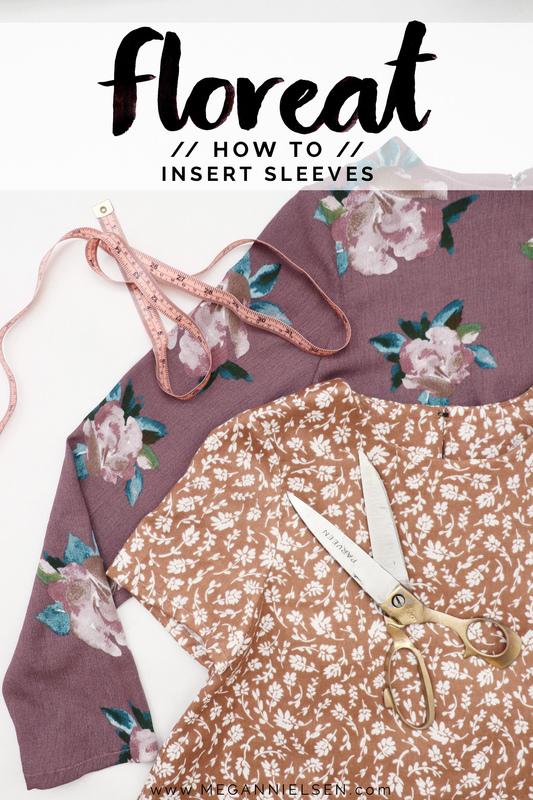 Make sure that you’ve inserted the right sleeve on the right side. 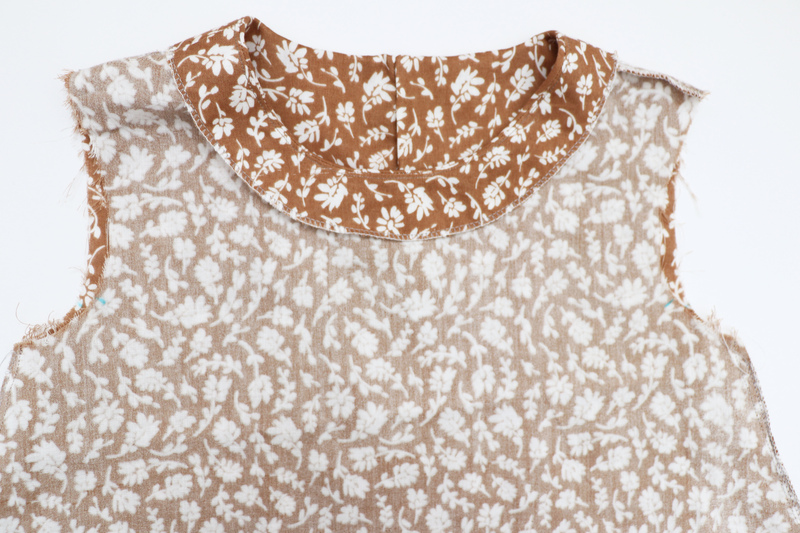 There is a single notch on the sleeve to indicate the front, and a double notch on the sleeve to indicate the back. Line up the raw edges, matching the notches, seam, and the top notch with the shoulder seam. Pin in place in these places. 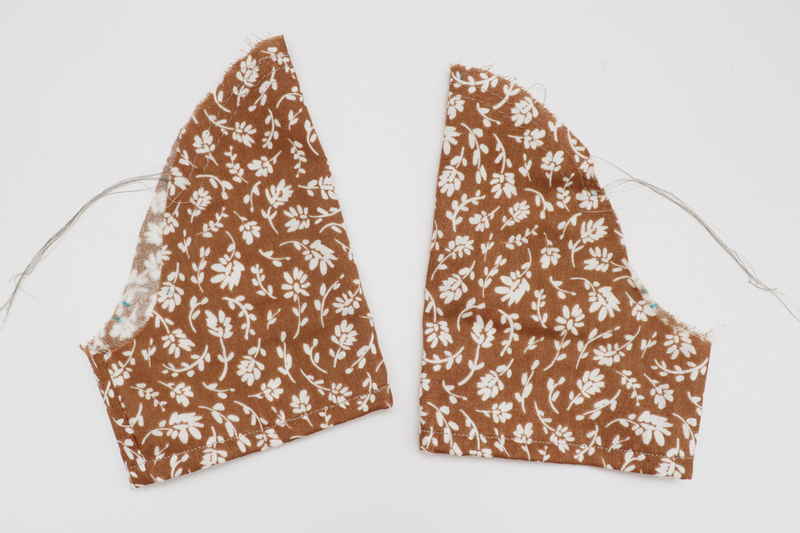 Slightly pull on the thread tails of your basting stitches to ease the cap of the sleeve into the armhole until the raw edges line up. Important: you are not gathering. You don’t want to see any gathers or puckers in your armhole. You’re only pulling on threads just enough to ease the sleeve cap to fit. 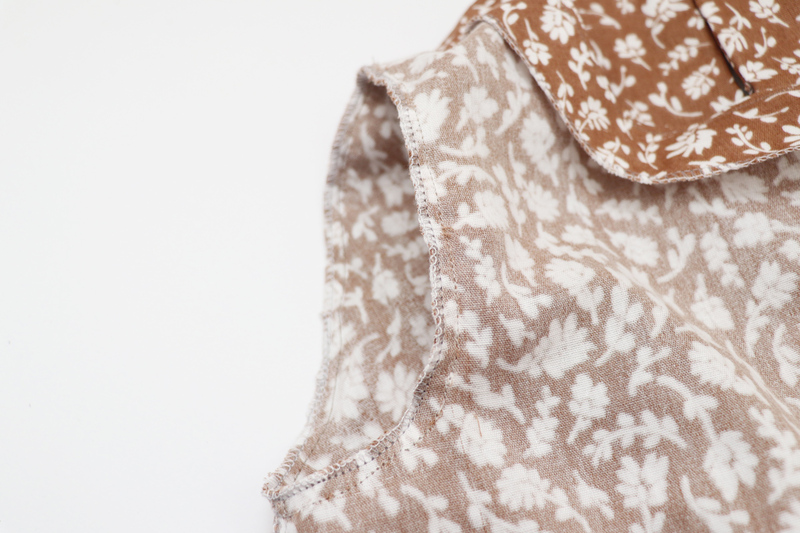 Once you have the ease right and everything lines up, pin in place around the entire armhole. 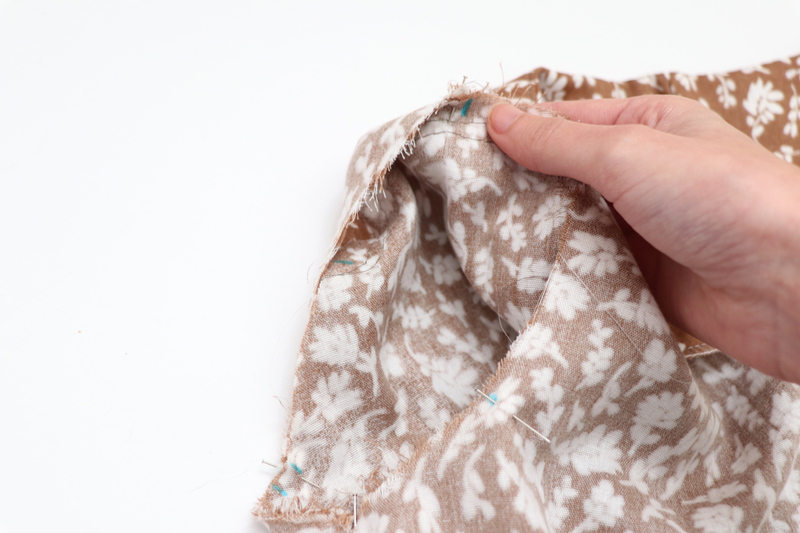 Carefully sew the sleeve and garment together 5/8″ from the raw edge. Check to make sure there are no gathers or puckers. If you’re good, you can now finish the raw edge with your preferred method. 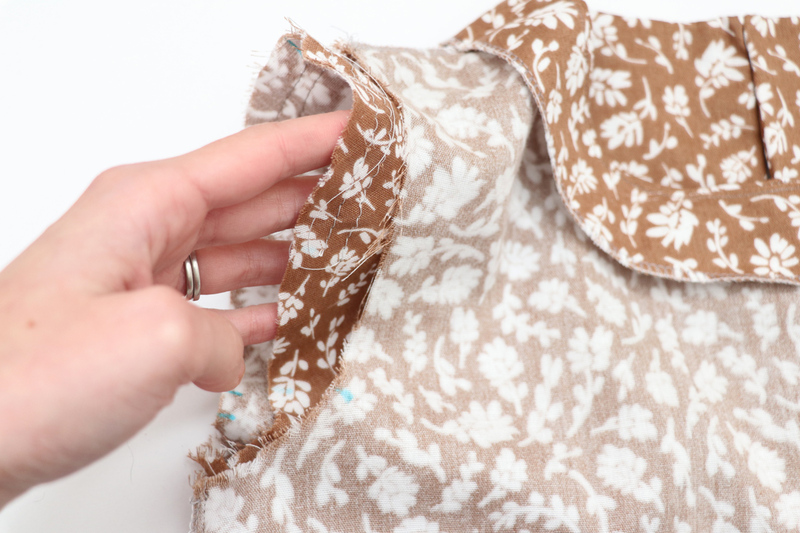 Turn your garment right side out, and press the seam towards the sleeve, not the bodice. 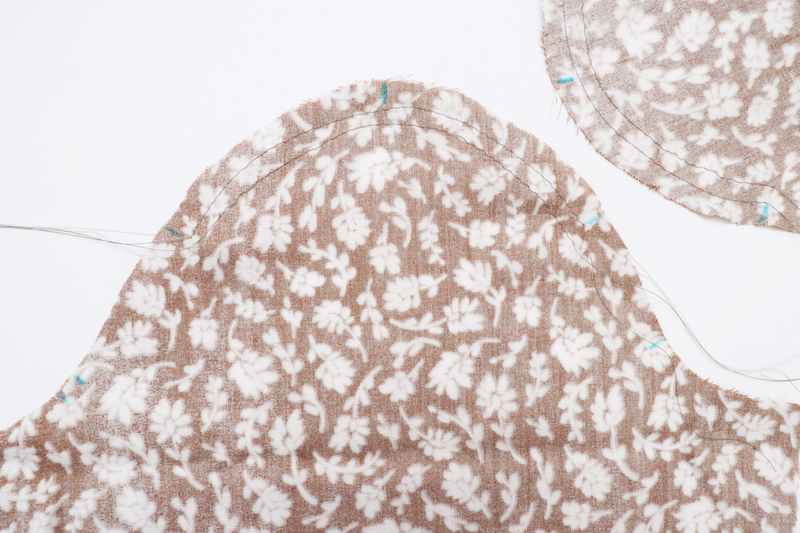 You can also now remove the basting stitches if they are visible! Yay! You have sleeves! 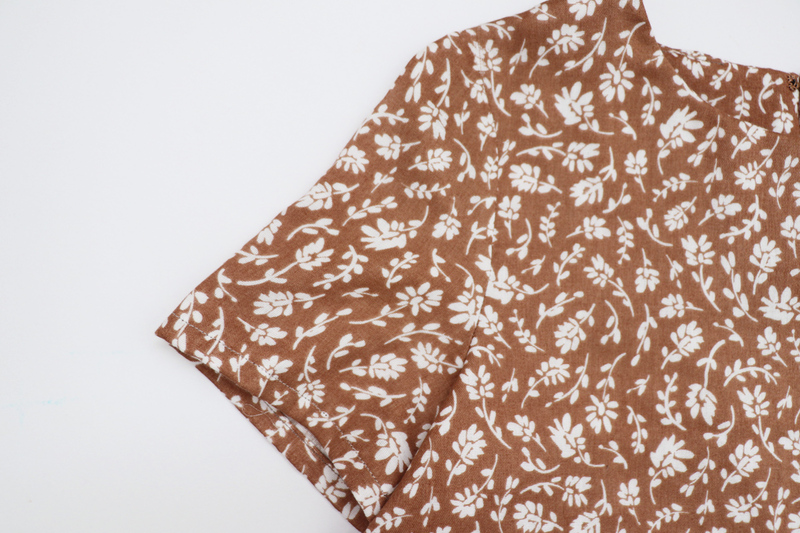 We’ll go over hemming the sleeves later on when we go over the rest of the hem. 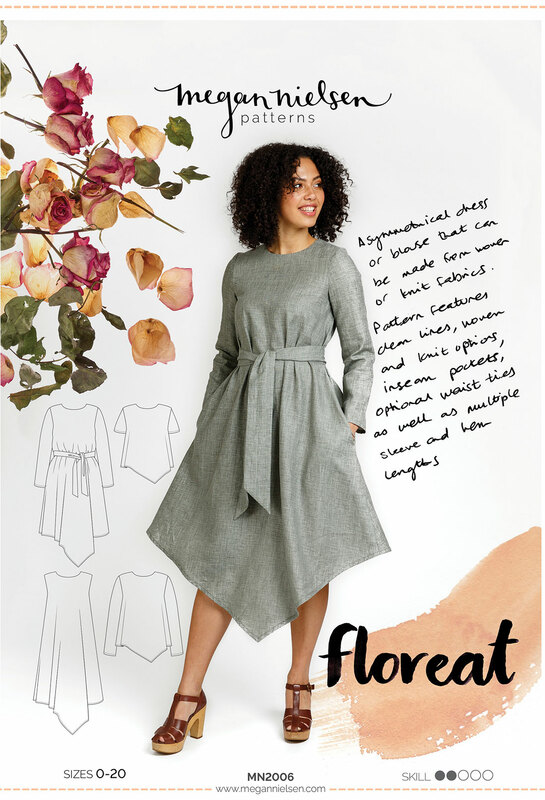 Don’t have the Floreat sewing pattern yet?! Order Floreat today ! We absolutely love seeing what you make, so don’t forget to tag your creations with #MNfloreat and @megannielsenpatterns when sharing on social media, and check out what everyone else is up to!